Mary Frances (Diehl) Blankenhorn was born April 17, 1919 to parents Sam and Fern Diehl at the family farm at Wapello, Iowa. She died March 3, 2015 at Mesa, Arizona. After graduation she married Max Leroy Blankenhorn in the Little Brown Church in Nashville, TN, and when her parents retired, she and Max farmed the 420 acre family farm in Wapello, Iowa, until they retired in 1968 to travel in their Air Stream trailer. They eventually settled in Orangewood Shadows just as the park was being built in 1977. Fran, as she was known, was an active member of Orangewood. She played piano in the OW band, which played for Saturday dances once a month, played cards, made puzzles and for the last 13 years sewed quilt tops for the Crisis Quilters. After Max’ death in 1993, Fran’s health failed and instead of going to a nursing home, daughter, Linda Pagent, came to live with her and care for her. Fran was so happy to continue to live in Orangewood and to continue to sew. She is survived by her three children: Linda Pagent of Mesa, AZ, Marilyn Jones of Loveland CO, and Jim Blankenhorn of Tennvalley, CA; many grandchildren and great grandchildren. 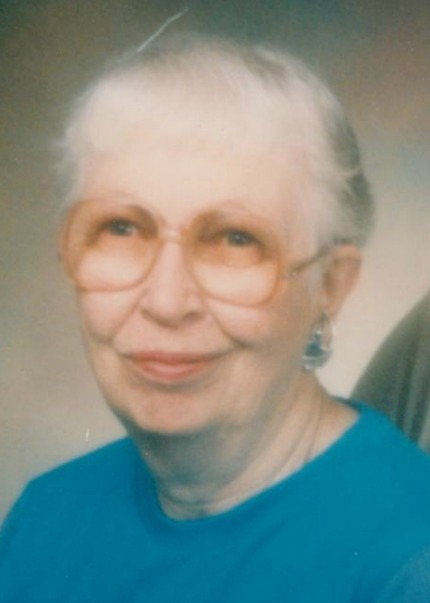 Burial of her cremains will be in the Wapello cemetery, beside Max. We love Fran and will miss her smiling face. Our condolences to the family.